Meeting Rev. Jesse Jackson: Connecting the dots! This is the short version of a long story. It exemplifies serendipity; that unexpected but divinely arranged thing that happens and you know it had nothing to do with you, but had to be God. I'll have to write a book but in the mean time this is the story. 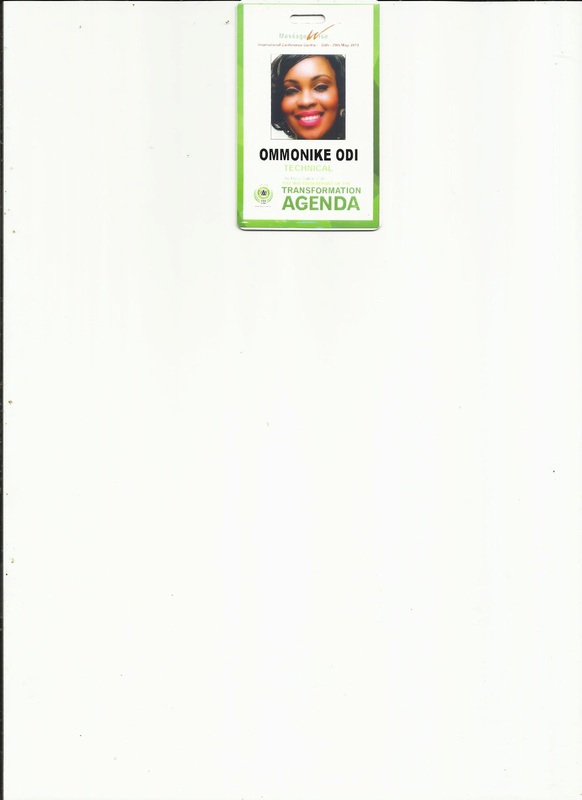 On Democracy day, I (me, little ol me) attended President Goodluck Jonathan's Transformation Agenda Mid term report. It is not easy for me to commonize the opportunity to have been in the same room with the president and his cabinet. I had an access pass and walked into the premises of the International Conference Centre thronging with intimidating security detail undisturbed even as other residents boycotted the area. do in that place that day. My business was to interview guests as they came in. I was there three hours early, that was the sensible thing to avoid the nightmare of security checks considering how many human bodies would fill the space around show time. Few days before, I was contacted by Obi Asika. He had work for me, he said. I had been on his case as regards a project idea I wanted his attention on. The work he had for me had nothing to do with this idea. I suspect it had everything to do with his impression of me as a result of my engaging him to pitch an idea. 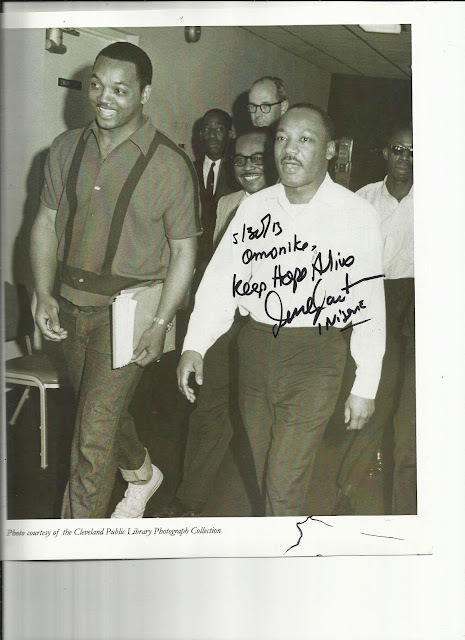 In the weeks of doing my research, I had come across his name which before now hadn't meant as much to me. It led me to this youtube video interview of him which I watched across the table from him, on my laptop. Obi Asika wasn't far from materialising in my reality, I was attracting that possibility just by finding out about him and wanting to meet him. A few weeks later, I walked out of my office building and there he was. I would have left four hours before, I had been delayed and was upset that I was but I didn't know I was on course for time and chance to meet. I walked right up to him and called his name. He was taken aback by my directness. This time it was Obi calling me to ask me to join his social media team at the president's mid term report. I was elated but not so much that I missed the significance that I was going there because I have a blog, at a time when to include the term in the conversation about a serious preoccupation is to bring in doubt about how serious minded a person is, or how reasonable they are if they expect to earn a living or make an impact by indulging in something that intangible. But it meant even more to me because it had been a bone of contention when once a boss thought having a blog was a distraction not a creative outlet. But here I was and it was because I blog. 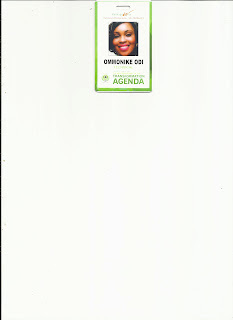 Obi had my pass ready at the rehearsals for the event. I would do interviews instead of the social media thing, he said. As the Hon. Minister of Finance, rehearsed her presentation, I quickly realised I could be interviewing her the next day but I was quite happy if all i did was be close enough to look at her like I was doing, close enough to see the print of her dress. When I got home I told my mum what I would be doing. She ran away with the idea that I said I would be interviewing the minister to my distress. "No mum", I corrected I might interview her I dont know for sure that I will, I said. She gave me a dismissive look and kept up the dance she had started, "you will surely interview her", she said emphatically in Yoruba. And I did. I wish I had the transcript or video to share (hopefully soon) but this isn't about the journalism of what I did or the politics of what she said, it is about standing next to such an icon and national treasure in a similar way that greats like Christine Amanpour had been with her, and going "OMG! This is happening! " 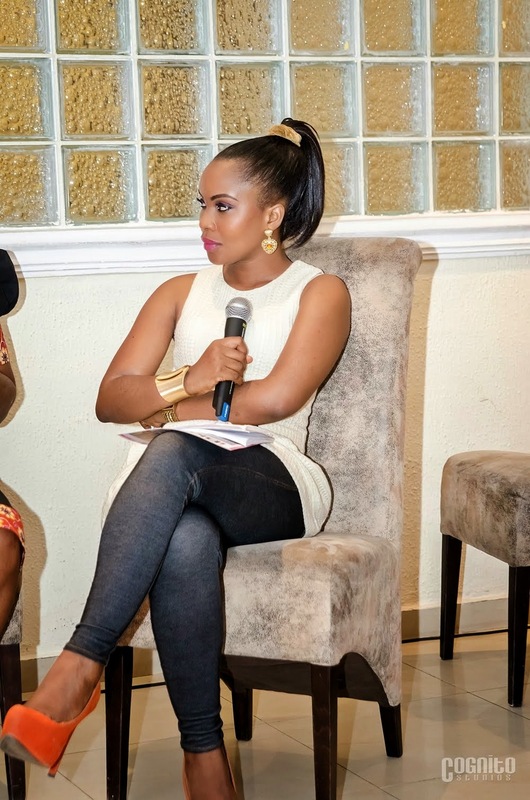 It probably should have been a veteran broadcaster from the NTA or AIT interviewing her but no it was me, with no mass communication education, no TV house affiliation, a shoe string of interviews under my belt but justified by my faith that I was born to do this. As I stood in that spot with my gift which had brought me before the kings and princes of government, I didn't know what to think but I knew something new and good was happening. I was having a dream- come- true moment. Like Joel Osteen says, one touch of God's favour had moved me light years ahead to another level. Even if in my wildest dreams it was possible to nab an interview with the minister of finance or minister of culture and tourism or the CEO of the Nigerian stock exchange or Entertainment mogul, Ben Bruce or Sammie Okposo or Timi Dakolo or Reno Omokri and other political royalty I met, it was certainly above and beyond what I could ever ask or think to be priviledged to interview Rev. 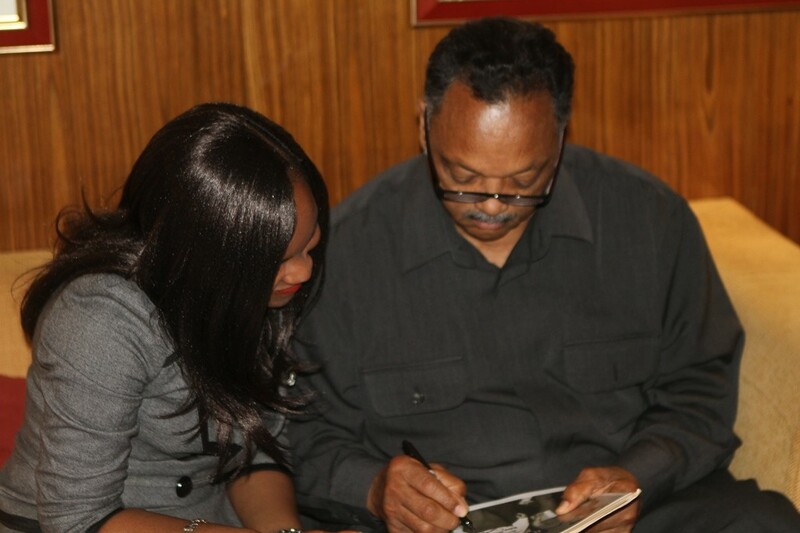 Jesse Jackson! Twice! The second interview took place the next day, it was more personal and so memorable. At short notice I made it to the venue of the interview at the nick of time. Everything was prepared and waiting like a table set before me, it was my head that was anointed for the moment, and my cup of joy still overflows. 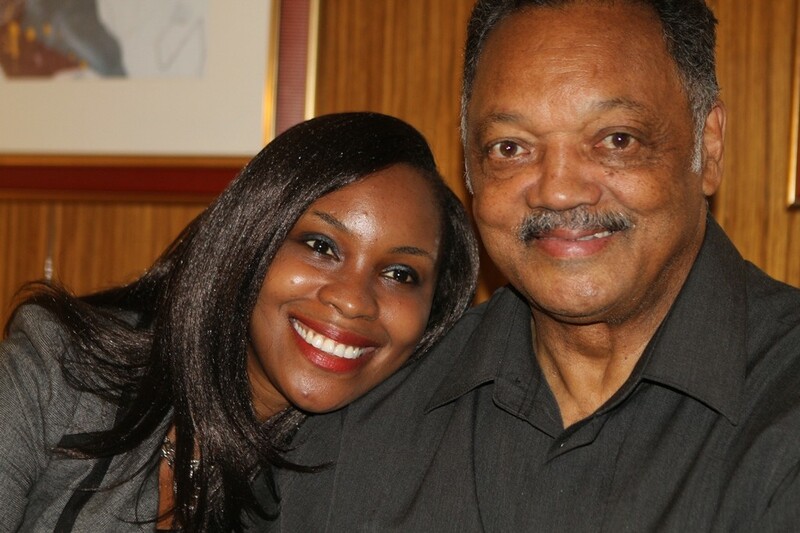 Again, it was not because I sat in a chair across from the reverend in an interview. Even though in the words of a mentor, that was bl**dy amazing and in Haruna's opinion, there was nothing remotely ordinary about it, the moment that would stay with me forever was when the interview got done. "Can I take a picture with you young lady?" It was the reverend who asked! (Ohhh, he asked?) It tickled every part of my being where I hope and dream, at the thought that he wanted me to take a picture with him. I could have laughed with glee like a little girl or yelped with delight like a little dog. Pictures taken, he told me he wanted to give me something. It was a picture of Martin Luther King and the Reverend in their twenties. He asked me what my name was and signed me an autograph. I felt overwhelming gratitude not for the paper transaction but for the heart transaction. He wanted to inspire me, I took the signed momento and received with thanks everything the moment meant for me. There are a series of too- timely- to- be- ordinary events that have lined up till this very moment. Events that will require a book to exhaust them but only my heart that holds those moments, knows my joy. I am grateful. And my gratitude prompts this short version to say to someone, God wants for you a million times more than your highest aspirations and those are the feats you should begin to reach for in faith. Today a friend of mine made a statement that haunted my thoughts while I was getting myself ready for work and all through my commute. "Procrastination is the origin of the death of the enthusiasm to do anything"
- Jemima Angulu (Krump Studios). Eventually I took out a note pad and asked myself introspectively what was so pointed about the statement that it held my attention. I had been procrastinating somethings I needed to do. Once I got that I started to ask myself how I could apply what she said as opposed to just feeling convicted. I got even more creative and asked myself where I could pick up the slack and get moving again on some of the important things. I took that a step further and thought I should make great content out of it- turn the lime uncomfortable feelings into something good and helpful for people like lemonade. 1. What opportunites have been presented to me in the last few months that I have let slip through the cracks? I listed eight things and wrote beside them things I needed to do to get back on track. 2. What actions have I intended to take that I have let slip through the cracks? My answers ranged from updating my blog to writing a professional exam I had decided was great for me to completing my application for my masters programme. No matter how long and unwinding or short and urgent your list is, just being aware of these things means you can reschedule them in the coming days and months. 3. What things are happening in my life right now that I need to do something about? We tend to be on auto pilot going through the grind and doing what calls for our attention the loudest, and other things as little as they seem tend to be ignored but grow bigger over time and cause big problems. I needed to take control over somethings on my list. e.g I haven't made time to put away a pile of laundry that came in from the washers. They have since been on my couch and if they stay there any longer I just might stop noticing. 4. What small things can I do right now to make a big difference? In the past week I made a concious effort not to feel unneccessarily guilty about everything especially if it's not a life and death, heaven or hell issue. This small shift in my thinking meant that if I showed up late for a meeting I would not brow beat myself over it, while I understood the importance of being early, if it happened that I was late I would not let that ruin my enjoyment of the meeting or of the day. Another small change could be changing how we respond. I read a BB broadcast by Pastor Temi Odejide where he explained a very powerful idea. He described how he learnt the importance of not letting his first answer to a request or idea be "NO" even if he thought it couldn't be done. He butressed that with the verse Mark 11:23 and what stood out to me there was if you have NO Doubt about what you say, you will have what you say. If you are full of faith that something will not work, you will have that outcome, for instance. His advice? Never let your first answer be no, there is always a way, pause consider and look at it again. 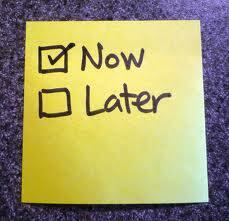 At the end of the day, the best cure to procrastination is to adopt the philosophy of "Do it NOW not later". Just that one idea can change your results today. Has this been helpful? Let me know how I have helped.